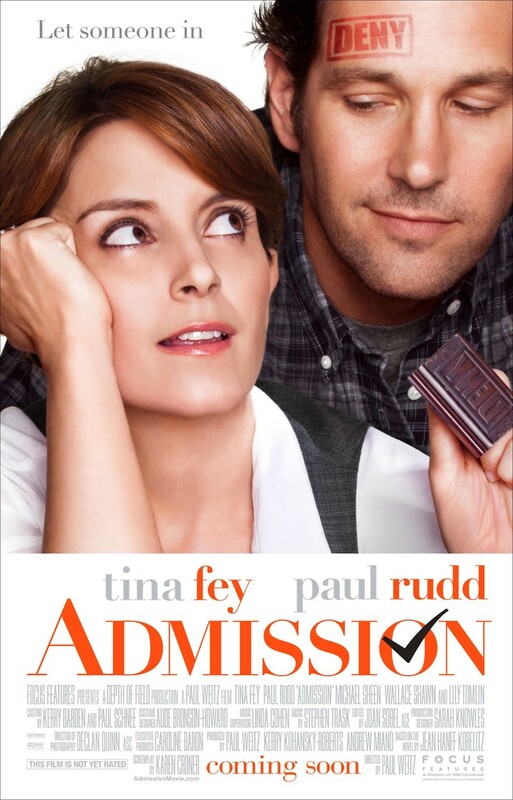 Admission DVD and Blu-ray release date was set for July 9, 2013. Portia Nathan is an attractive, but uptight, admissions recruiter for Princeton University. Former college classmate, John Pressman, talks her into visiting his quirky alternative high school. His free-spirited nature completely throws her off-guard at first. Portia is given a first-hand look at Quest School students who have decidedly strong viewpoints about higher education. The highlight of her visit is meeting child prodigy, Jeremiah Balakian. Jake convinces her that Jeremiah is the son she gave up for adaption years ago. Jake and Portia become romantically involved, which leads to Jeremiah visiting Princeton. Following her heart she admits Jeremiah into Princeton. Things go awry when Jeremiah's poor high school performance is revealed. Portia's job is in jeopardy as a result. Worse, Jeremiah may not be her son.